Warning: 5G may not be so amazing or life-changing right away. The first generation of phones and service will have a lot of issues to work out. At the 2017 Mobile World Congress trade show, Roger Gurnani, then the chief information and technology architect for Verizon, walked on stage at a Samsungevent to talk about the two companies' work on developing 5G. Fast-forward to this year's show, and the only thing certain is that no 5G phone exists. 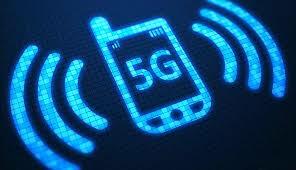 That's the hype of 5G, the next-generation wireless technology that promises to be significantly faster and more responsive than anything before it. In some cases -- such as its potential application in self-driving cars, telemedicine, the trend of devices called internet of things -- it can be life-changing. But so far, it's mostly been promises. Unless you're in one of a few select towns -- fans of the HGTV show "Fixer Upper" will appreciate that Chip and Joanna Gaines' Magnolia Market at the Silos shopping complex in Waco, Texas, has an early form of AT&T's 5G -- the superfast technology is just something you've read about. The good news at MWC 2018 is that 5G is steadily progressing from hype to reality. Verizon and AT&T plan to launch limited mobile 5G service this year, while T-Mobile and Sprint are setting things up now for a commercial launch early next year. Handset makers and chipmakers are working to get devices ready for 2019 as well. MWC 2018 saw US carriers jockeying for pole position when it comes to 5G. With advanced networks being the next big thing, each carrier is eager to bolster its reputation for service quality -- which all hope will translate into consumers heading their way. Sprint CEO Marcelo Claure has promised to build the first nationwide 5G networkby early 2019. It'll take a big step in that direction this year when it rolls out 5G capabilities to six cities, including Atlanta, Chicago and Los Angeles, though Sprint customers won't be able to access 5G until the service launches next year. AT&T has said it will have mobile 5G available in a dozen markets, including Atlanta and Dallas, later this year. Verizon Chief Technology Officer Hans Vestberg said his company would be first in mobile 5G services, but gave few other details. The company is also deploying 5G as a fixed service intended to replace your home internet connection, starting with Sacramento, California. "It's a little confusing, isn't it? It's confusing to me, and I do this for a living," T-Mobile Chief Technology Officer Neville Ray quipped at a press conference. Because those phones aren't ready yet, Verizon and AT&T plan to deploy "pucks," or mobile hotspots that capture 5G signals and broadcast Wi-Fi, giving your devices a portable internet connection. Pucks and laptop cards were prevalent when LTE first rolled around, because it was the easiest and cheapest way to release a device running on a next-generation wireless device. Chances are, you're probably never going to use one. These were niche devices even back in the early LTE days and are mostly useful to the carriers because they offer data on how the network runs with real customers. You're likely more interested in the first 5G phones. But be mindful that the early batch may suffer from some of the issues that plagued early 4G phones. Devices such as the HTC Thunderbolt were bulky, had poor battery life and tended to overheat. While Ray said that he expects a premium flagship will get 5G, AT&T Chief Technology Officer Andre Fuetsch said there may be phones specifically built to house 5G technology, similar to the Thunderbolt. Likewise, Verizon downplayed the concerns. "We learned a lot by being the 4G LTEleader," said Brian Higgins, head of devices for Verizon. "One of those is how to help our ecosystem partners improve the infrastructure, device, battery life and apps required to take advantage of new technology." Another concern is whether prices will change with the introduction of 5G. Sprint's Claure reiterated in a keynote address at MWC that he expects to market 5G as a premium service with a premium price tag. Others are a bit skeptical. Hays doesn't believe consumers will pay a premium because there aren't any obvious benefits yet. After all, you can stream "Stranger Things" on your phone just fine on 4G. At this year's MWC, I asked Vestberg about the claim made by Gurnani, who's no longer with the company. He said he expects to see 5G phones by MWC 2019.